Nothing beats a few days on a houseboat to fully enjoy river tourism. Sail from lock to lock, following the many navigable rivers and canals of the Loire Valley. Explore the Maine basin, Erdre or Nantes-Brest Canal in complete freedom or, further inland, the Briare or Loing Canals and the Canal Latéral à la Loire, which flows alongside the Loire. 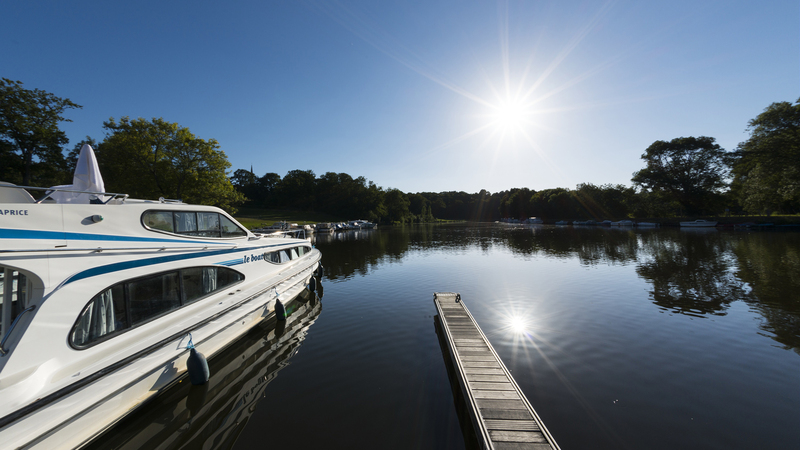 Set off at the helm of your houseboat, with up to 12 people. No licence needed! The promise of a trip to the countryside with all home comforts available (bathroom, kitchen, terrace...). You are free to make stops where you like to picnic, go on a bicycle ride or spend a night in the middle of nature. Go to Briare, a top destination for river tourism. 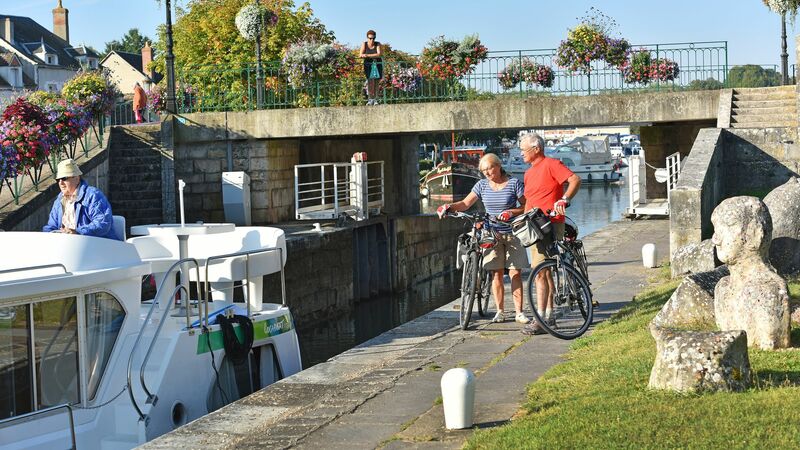 Here, more than a hundred kilometres of waterways are waiting to be explored on the Briare and Loing Canals and the Canal Latéral à la Loire. 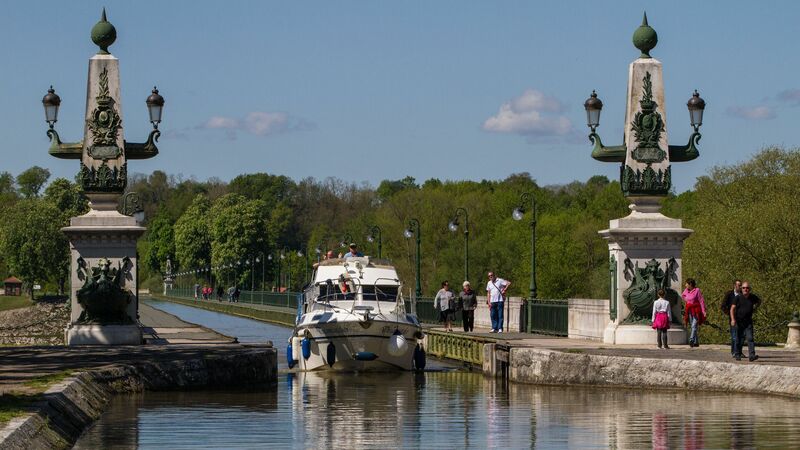 In your houseboat, which doesn't require a licence, cross the famous Briare Canal Aqueduct, the amazing aqueduct built by the Eiffel company. It spans 662 metres over the Loire! 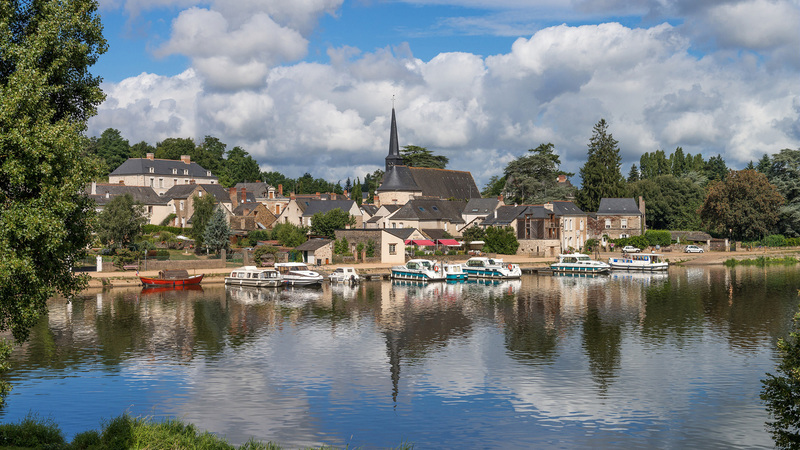 The Maine and Erdre catchment basins and the Nantes-Brest Canal are ideal for river tourism, offering 375km of navigable rivers where you can fulfil your dreams of river travel in the Loire Valley. Follow the Mayenne and its towpath, the Nantes-Brest Canal with its old locks of 100 years or more, the Erdre and its numerous châteaux or the Sarthe. All these can be enjoyed from the boat or by stopping off to visit the small villages and charming towns situated alongside them.